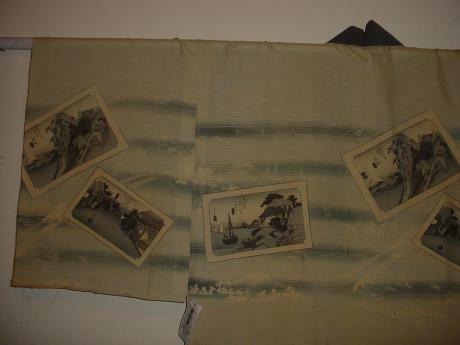 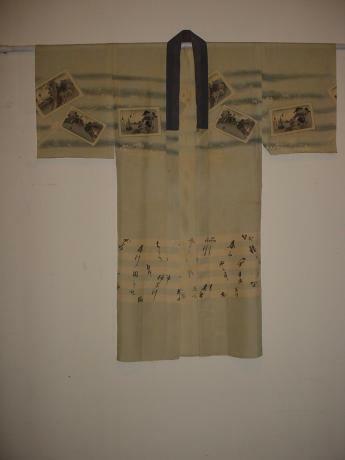 Description: Japanese Meiji-Taisho period men's summer NAGAJUBAN, undergarment. 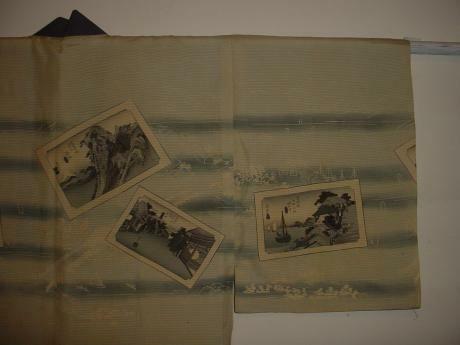 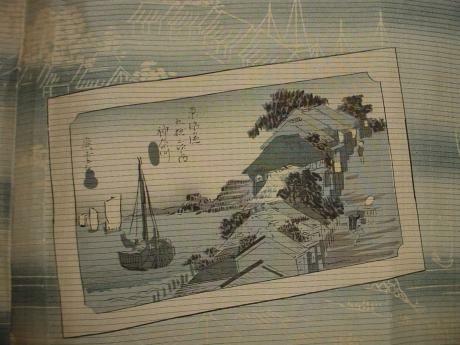 Done in a beautiful UKIYOE print design with calligraphy below in a pale grayish blue. 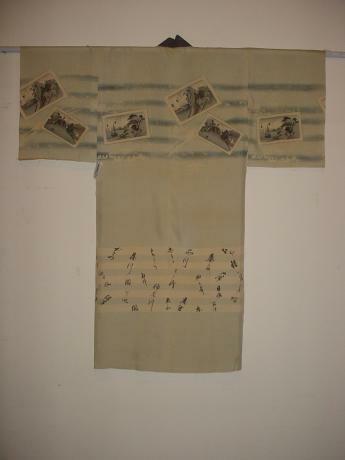 The NAGAJUBAN measures 46" across and 50" long. 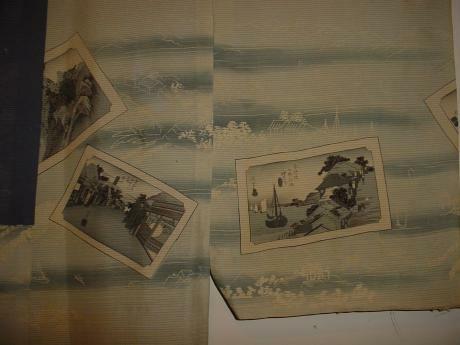 The body portion measures 24" across with the sleeves being 24" long.